In Austria 60% of the people are Catholic, 6% Eastern Orthodox, 6% Muslim, 4% Protestant, and 24% are other or none. M. B. Czechowski, the self-supporting missionary, was the first Adventist to evangelize in Austria, before the first official missionary, J. N. Andrews, was sent to Europe in 1874. Czechowski died and was buried in Vienna, Austria in 1876. Bogenhofen Seminary and Bogenhofen Senior High School are located at St. Peter am Hart, Austria. Yuxin and her mother attended an evangelical church in China for ten years, then one day as Yuxin’s mother was reading the Bible, she noticed that the seventh day of the week was God’s holy day. As she shared what she had learned with her daughter, Yuxin was surprised. Not long afterward, Yuxin found a Seventh-day Adventist church and decided to visit. Later, as she met with the pastor, she had many questions about the Sabbath and what Adventists believe. Patiently, he answered Yuxin’s questions from the Bible. But Yuxin wasn’t convinced. “Maybe this is right,” she thought, but she wasn’t willing to make a commitment. At the time, Yuxin was also eating pork, and wasn’t ready to give that up. 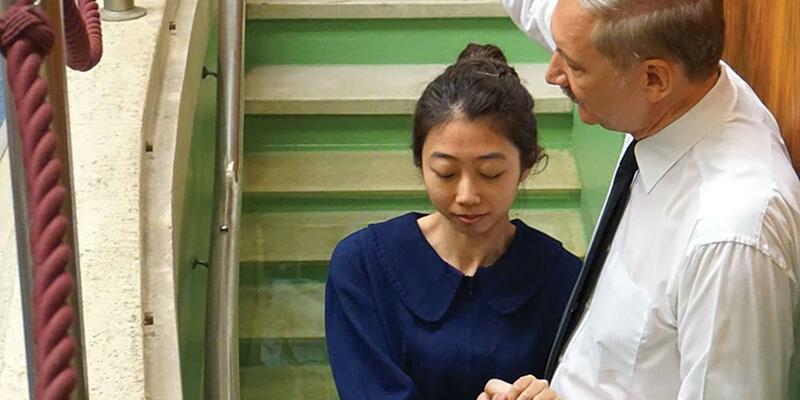 Nevertheless, after arriving in Vienna, Yuxin found the International Seventh-day Adventist Church on the internet and contacted Pastor Felix. Yuxin is one of several international students who have found their way to the International Adventist Church in Vienna. Abigail, from Mexico, is studying classical singing at the Music and Arts University of the City of Vienna. That warm and friendly international church family has grown over the years and it is now in need of a new church building. Part of the Thirteenth Sabbath Offering this quarter will help this church family to have a larger building, closer to the city center. Thank you for giving generously to the Thirteenth Sabbath Offering.